MGM is developing a new installment of RoboCop and has set District 9 director Neill Blomkamp to helm the picture, which is titled RoboCop Returns. The studio hopes to revive a franchise that began with the Paul Verhoeven-directed satirical sci-fi action thriller that Orion released in 1987. Original writers Ed Neumeier and Michael Miner are producing and exec producing, respectively. Justin Rhodes, who co-wrote the Terminator film that Tim Miller is shooting, will rewrite the script that Neumeier and Miner wrote years ago as a planned sequel to Verhoeven’s hit, an installment that never happened. That duo is creatively involved in moving forward their creation for the first time since the original. Will this one be about the revenge of his brother, Rocko? God. 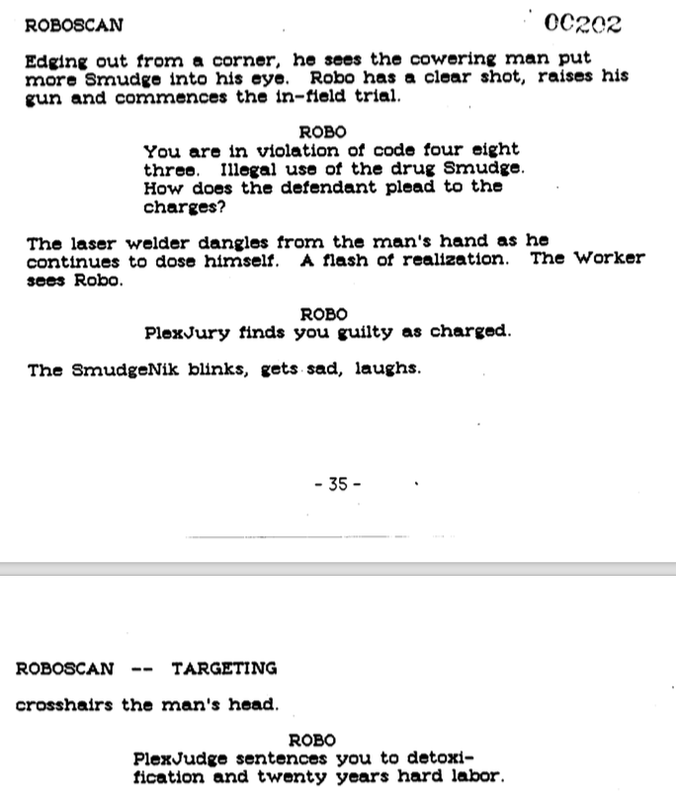 If there was ever a director who might make me feel kindly disposed towards a new Robocop movie, it’s Blomkamp. It’s got his sensibilities written all over it. I can’t believe I didn’t see that before. He was on a downhill trajectory from District 9. Can't say I'm optimistic. I hope they've got a better script than the last one which is pretty rank. With Trump and the shenanigans of the 1%, you'd think they couldn't miss, but Hollywood might be mindful of not playing that card too much since they qualify as overclass. Will they call on Karl Urban since he knows how to act with a partially covered face? I liked Chappie, it was like Wall-E with swears. No, but what Elysium convinced me of is that he’s a potentially brilliant director in dire need of a great script. 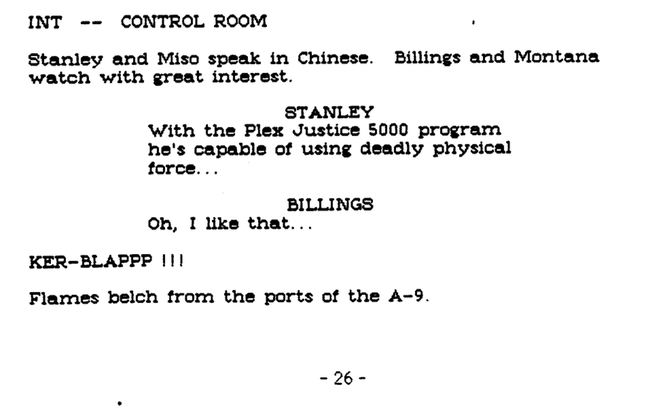 If there’s a spark of what Neumeier and Miner brought to the first movie left in this screenplay, it might be the one. I presume it's a re-write of The Corporate Wars – written for Verhoeven to direct back in late 87 before the writer's strike. It certainly fits with the premise of RoboCop getting killed in the first scene and resurrected 25 years later in future Detroit. Murphy levelled up on his law enforcement directives. That's probably a fair point......he's got a good eye for the aesthetic at least. Maybe it has some promise. As for Chappie, it was definitely one of the poorest films I've seen in the last 20 years.....just complete nonsense with mile wide plot holes and an incredibly irritating cast. Wall-e was a great film, possibly even Michael Crawford's best.....after Condor man of course. Blomkamp has me both optimistic and pessimistic at the same time. He's good with the visual side of things, but from his latest efforts (I've not seen Chappie and refuse to as it looks total shite to begin with) he seems to be showing a distinct lack of imagination even in the thing he's seemingly good at. His films all have that same overly depressing and 'brown' look. Ironically, that could work for a Robocop film, but it's more down to whoever is writing the script and the acting talent for this one. I mean, if he's writing it, and we see that South African guy (Sharlto Copley) again (imagine him as Robocop with a broad accent), I think it's more or less guaranteed to be shite. Just to weigh in, I thought Elysium was a derivative bore fest. I haven't really seen anything that has impressed me from Blomkamp since the admittedly excellent District 9. Even his recent internet shorts left me cold. He has a keen visual eye and flair for sure, but nothing that translates into an interesting movie, for me at least. Still, it can't be any worse than the steaming turd that was the 2014 reboot movie, can it?